With internet spreading, more content is available in local custom language interface. Few web service like Google provide virtual keyboard to type in different language using standard (English) keyboard. 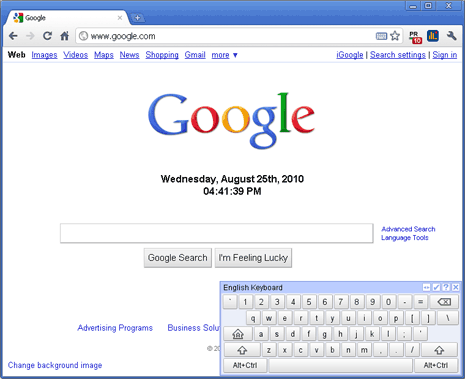 If you are using Google Chrome web browser to surf the internet, then you can add and use custom virtual keyboard in language of your choice using Virtual Keyboard extension. 1. Launch Chrome browser and open Virtual keyboard extension webpage. 2. Click install button to download, install and use this Chrome extension. 3. Virtual Keyboard will pop up on every webpage that support typing in native script. 4. 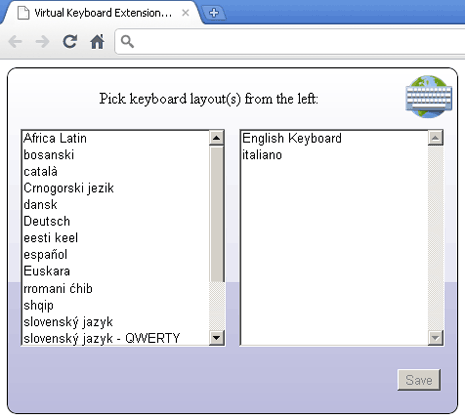 You can add support for multiple languages in same virtual keyboard window. Click on wrench icon at top right of Chrome meny bar and then goto Tools > Extensions. 5. Click Options next to “Virtual Keyboard” listing to select and add other languages. 6. Once multiple languages are added, you can toggle between them using Ctrl+Q keyboard shortcut or button at top right of virtual keyboard window. Top5 software Downloads of 2008 - miss any? Sweet site , I hadn’t noticed http://www.tothepc.com before till my wife told me about it.